Are you attending Splunk .conf18 this year? Do you want to learn more about containers? Outcold Solutions is among .conf18 sponsors this year. 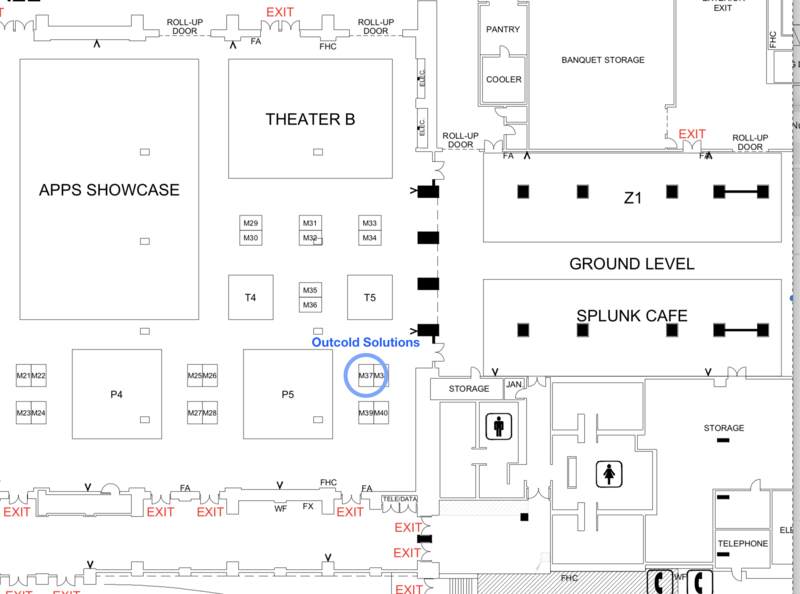 Please stop by booth M37 (map is attached below) to see the demons of our latest solutions for Monitoring OpenShift, Kubernetes, and Docker with Splunk Enterprise and Splunk Cloud. If you have questions about containers, Docker, Kubernetes, OpenShift or any topic related to this area, please stop by, ask us questions and pick up stickers! Denis Gladkikh (Outcold Solutions) with Amit Mookerjee (Splunk) is giving a talk on a topic how to containerize your applications. To make it more interesting, they are going to present it by using Splunk Docker Image as an example. Attend this talk if you are Docker beginner or Kubernetes advanced user, this session will have tips and tricks and best practices for the broad audience. You will learn about containers, docker images and all tiny details about the Splunk Docker Image. Space is limited, if you are planning to attend, please add it to your schedule now. Time: Wednesday, Oct 03, 11:30 a.m. - 12:15 p.m.